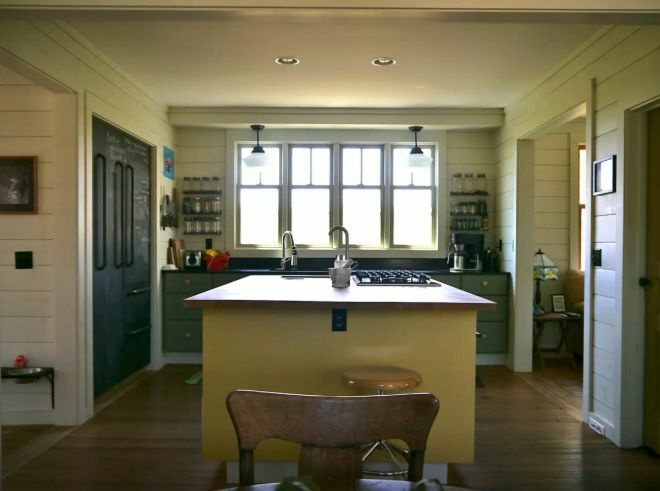 There's a century-old Farmhouse style home in Michigan that has been completely renovated from the ground up. 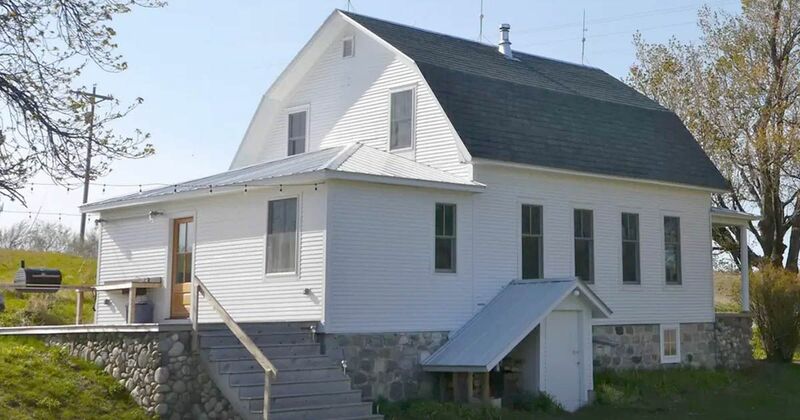 It has kept its old-fashioned history, but it's been infused with a modern style as well. 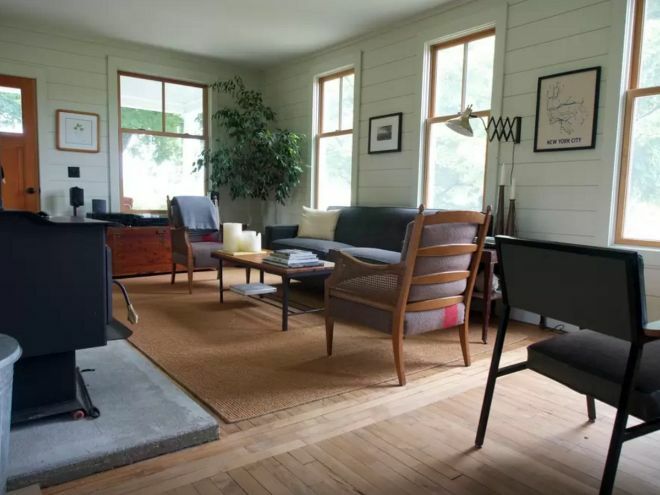 Certain centerpieces, such as the original fire stove, remain intact and serve as a monument to the age of the house, but modern amenities provide the comfort expected from any home built today. On a snow-filled winter's day, everyone's first instinct is to stay warm. 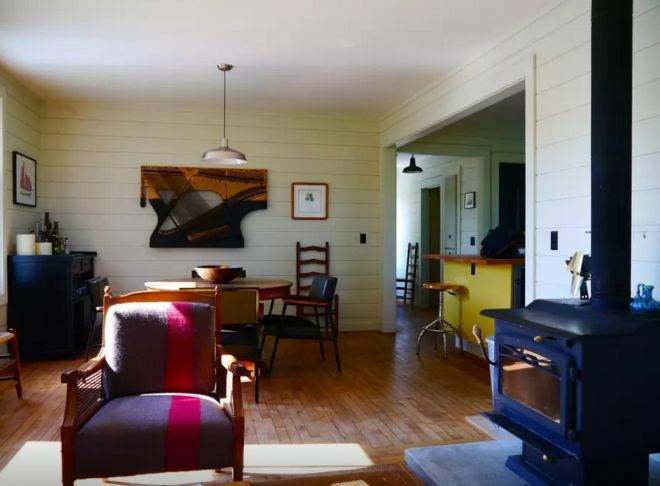 The Farmhouse's antique wooden stove is the perfect way to keep fingers and toes toasty. An alternate view of the living room shows off the large windows that allow sunlight to pour in. 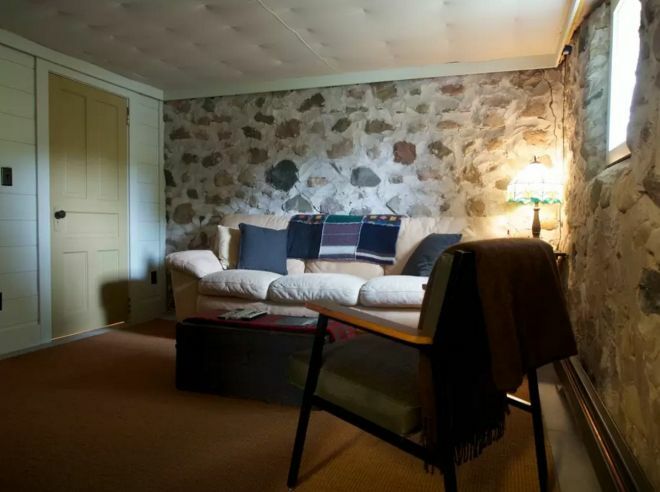 This cozy reading den oozes charm with its two textured stone walls. 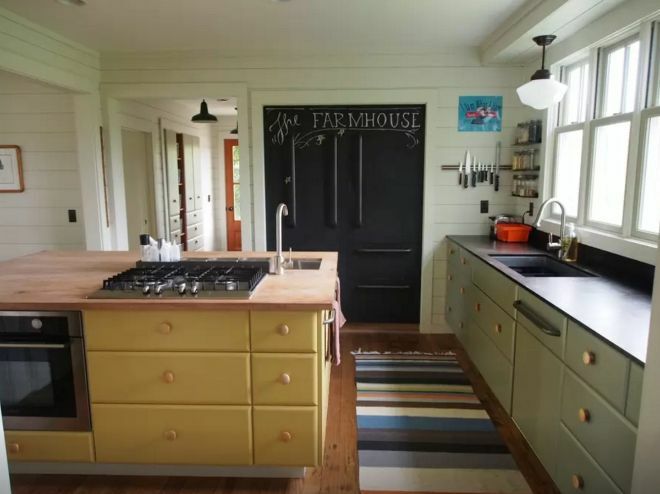 The kitchen features a lovely chalk board cabinet space, giving kids a place to draw or adults room to write down supplies to pick up on the next visit into town. 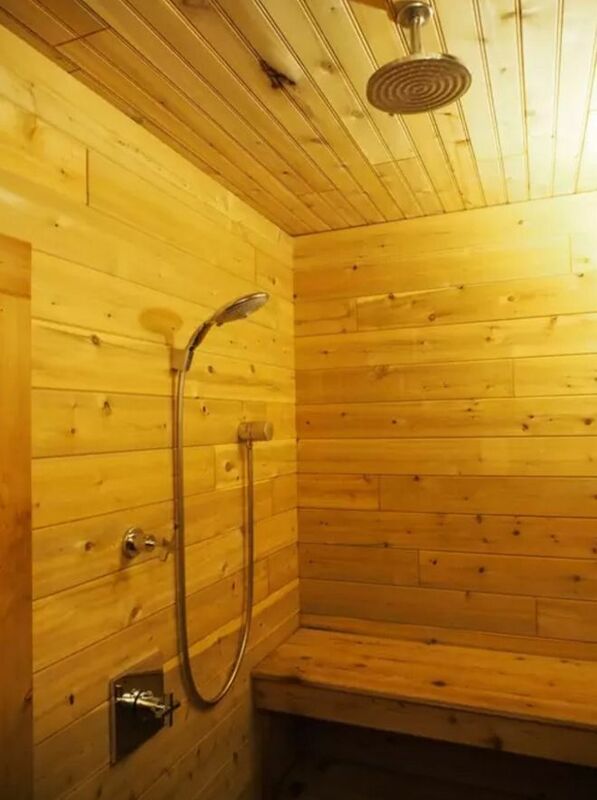 Another standout feature of this antique farmhouse was the wonderful wooden sauna with included rainshower. When the weather's right, the property has a nice outdoor porch area for entertaining guests. 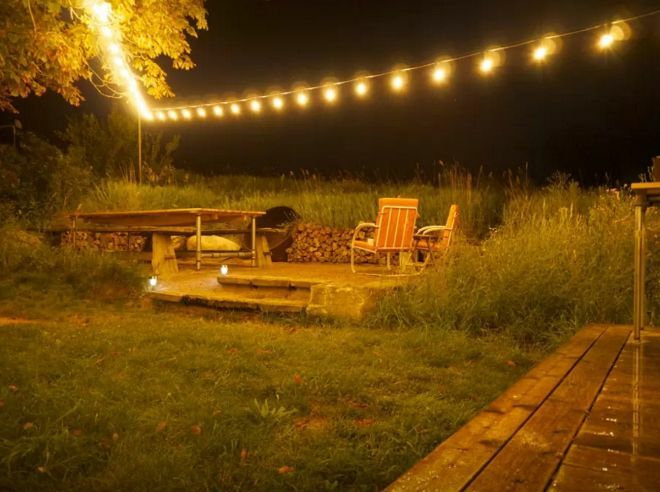 The home's AirBnB page lists other outdoor amenities, including vegetable garden and outdoor bbq.